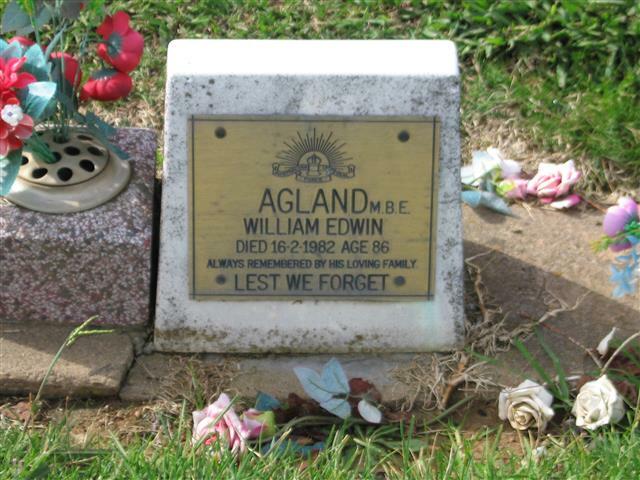 William Edwin Agland was born in the family home in Shadforth in 1895. The family moved to Orange when William was boy, living in Park Street, and later Spring Street. William and his siblings attended Orange East Public School. The family later purchased a property in Peisley Street, where they operated an auction room and real estate agency. William’s father was also named William Edwin Agland, and was an Alderman and Mayor of East Orange in 1910. 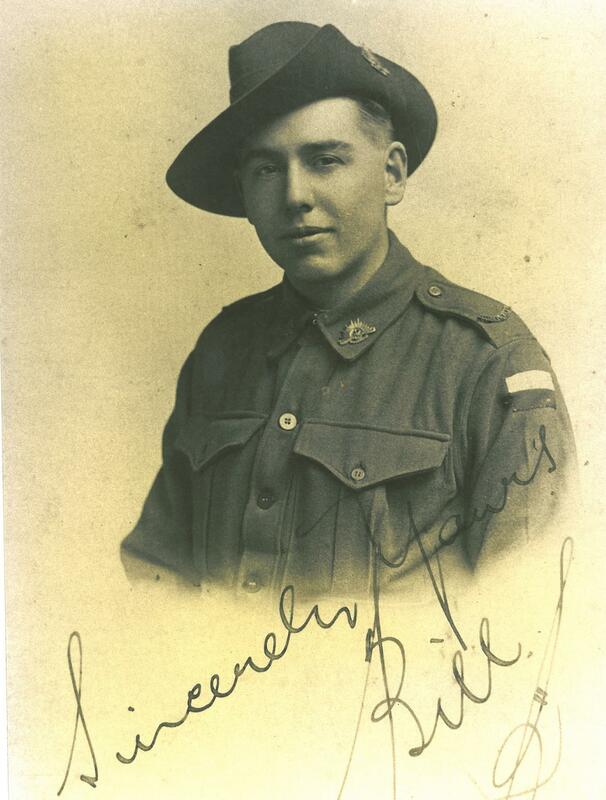 William was working as Assistant Town Clerk in Orange when he enlisted in WWI. The 21-year-old embarked in Sydney in September 1916, arriving in Plymouth the following month. A private, later General, in the 4th Battalion, William saw action in several battles, including the second battle of the Somme, as well as heavy fighting around Pozieres. He was wounded in the hand whilst operating a Lewis gun, and almost had his feet amputated due to severe trench foot and subsequent gangrene. After the war Captain Agland continued reserve duty with the 6th Light Horse until just before WWII. He and his comrades participated in the re-enactment of the famous WWI charge on Beersheba, which was filmed in Orange as part of the 40,000 Horsemen film. Mr Agland worked tirelessly for the Orange Sub-Branch of the Returned and Services League, dedicating 73 years to the organisation. The RSL Museum in Anson Street is named in his honour. He was awarded an MBE in 1971 for his service to the community. 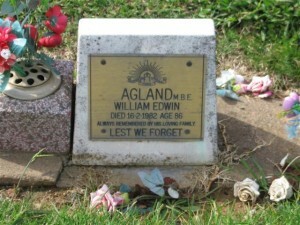 William Edwin Agland died in Orange in February 1982, aged 86. He is commemorated on the Holy Trinity Church Orange Honour Roll and the Orange East Public School Honour Roll. Leader, 18 July 1919 p.8. This entry was posted on January 30th, 2014.